Home > How can you measure the value of a webpage? > How is Google PageRank different from Majestic Citation Flow? How is Google PageRank different from Majestic Citation Flow? 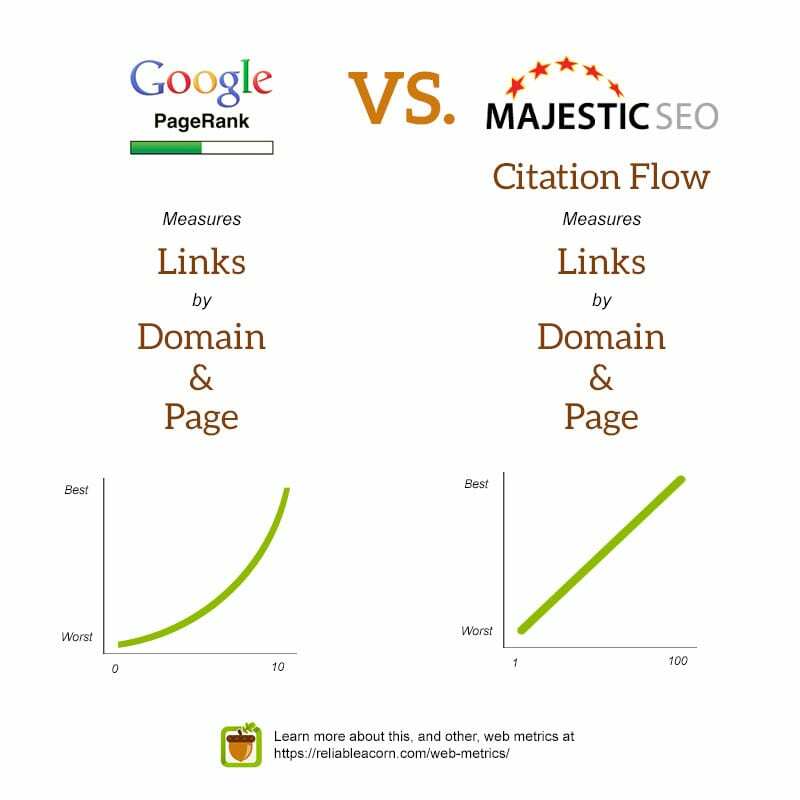 While both Google PageRank and Majestic Citation Flow measure websites according to links (and the metrics can apply to particular pages) there are a couple key differences. For one, PageRank ranges between 0 an 10 while Citation Flow is between 0 an 100. Another difference is the type of scale. PageRank is exponential while Citation Flow is linear. That means it is exponentially more difficult to move a website from PageRank 4 to 5 than it is to move it from 2 to 3. On the other hand, it takes the same amount of effort to move a website’s Citation Flow from 40 to 50 that it takes to move it from 20 to 30.